This is my third in a series of Instagram Gallery posts about the patterns from Green Gables Knits. 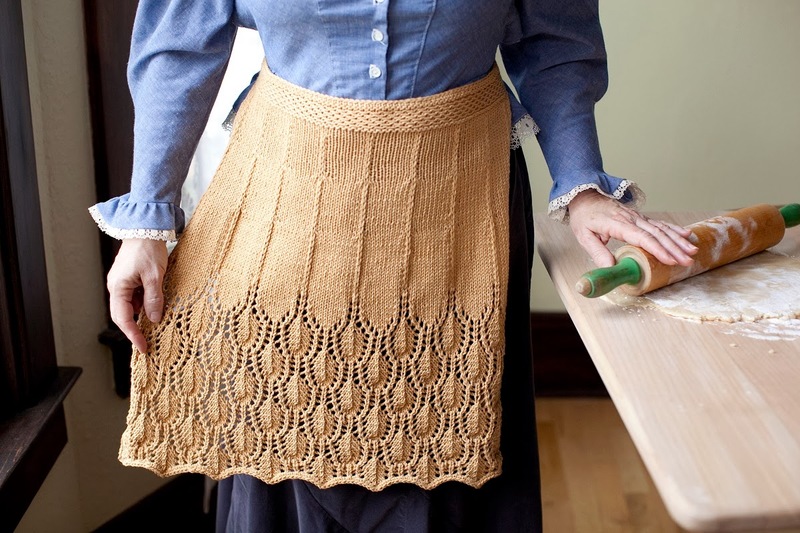 For this post, I am sharing my second version of Marilla's Apron from Green Gables Knits. This apron is knit up in the same yarn as I used in the book, Brown Sheep Cotton Fleece. I went for a slightly different color, Spanish Olive. Although the apron still has an old-timey feel to it, I think the color is more modern, and that it looks great with jeans and a tee, too. The other great thing about this yarn is how wonderfully well it washes up. Not only is it very hard-wearing, but it gets softer with every wash. I am planning to knit up a few more for gifts.